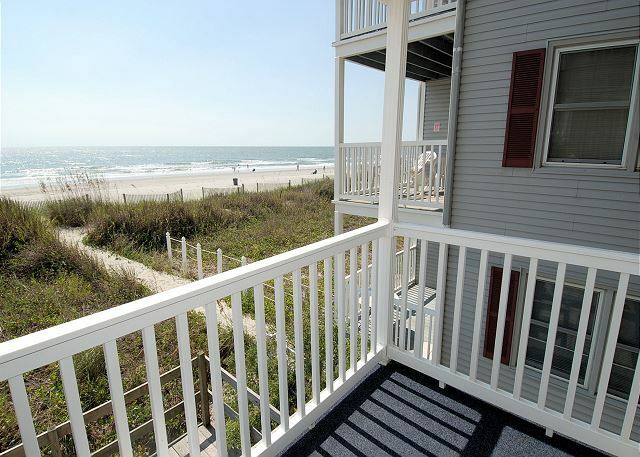 Windy Village A7 is a 2 bedroom 2 bath direct oceanfront condo located in the Windy Hill section of North Myrtle Beach. 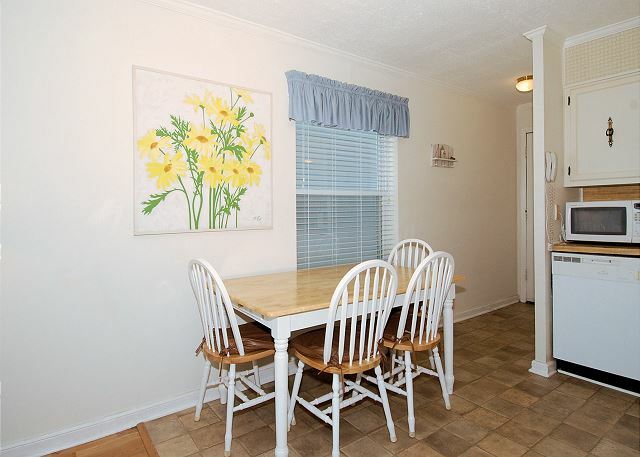 The condo has a fully equipped kitchen, washer/dryer, and wireless internet. 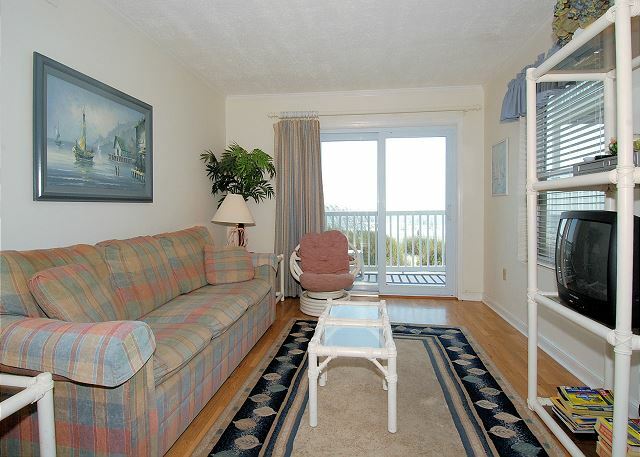 The oceanfront living room features a sleeper sofa as well as patio door access to the oceanfront balcony. 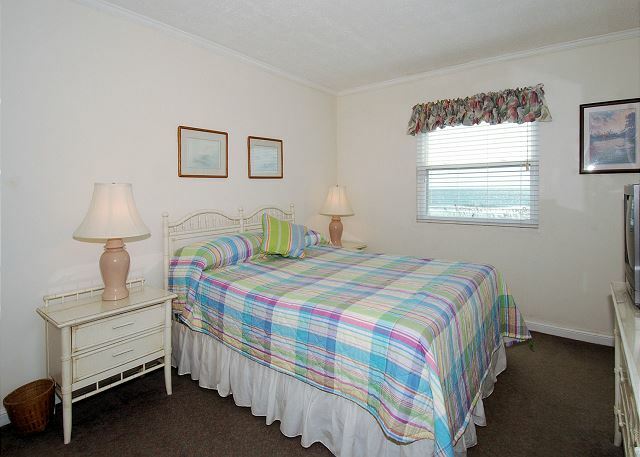 The master bedroom has a queen bed while the guest bedroom has 2 twin beds. Windy Village A7 will allow a dog. Please call for weight restrictions. Windy Village is a raised beach building that does not have an elevator. Windy Village A7 is a non-smoking condo. Smoking is not permitted on the balcony. Windy Village A7 guests are allowed 2 parking passes. The linen and towels package is optional, however it does not include the linens for the sleeper sofa. If you plan to use the sleeper sofa you will need to bring sheets, towels, pillows, and blankets. Location was good. Convenient to all area attractions and restaurants. Unit was clean and met our needs. Flooring could use some upgrade. 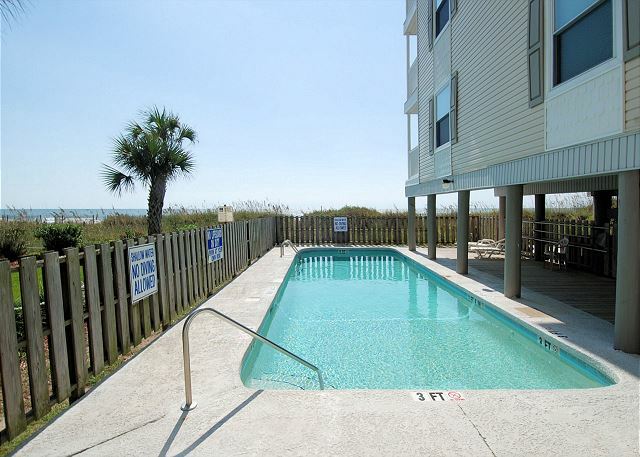 This unit is in a great location, a couple of feet from the beach, the unit has a pool which is also great, and not far from barefoot landing. The unit was clean comfortable, and the staff were helpful. The only thing about the unit is that it needs a lot of update, a new paint job, remove the wallpaper, and get flat screen tv's, the bedroom still has the old box tv. The room was very nice. Decent size and location to the beach and stores and restaurants. The only issue was the pool. It was small and seemed like it needed to be cleaned more than it was due the large amount of bugs that collected in it. 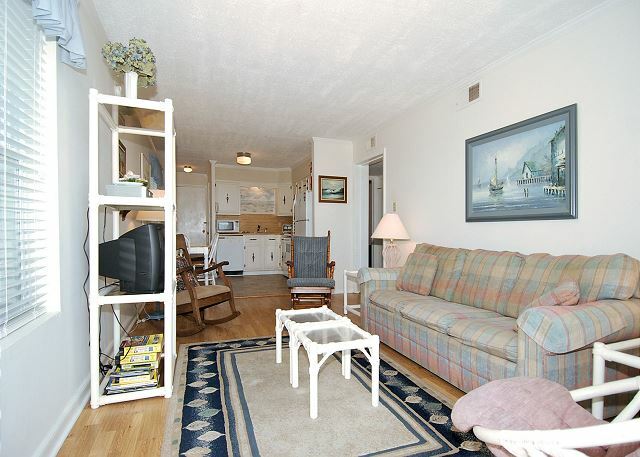 Great location and the condo was wonderful, pet friendly so we understood that the carpet was not going to be great. Our pet finally travelled with us! The unit is in a great location and we were most pleased with the layout of the rental as well as having all the things we would need. My only recommendation would be that at some time replace the carpet with waterproof vinyl flooring. We will definitely try to rent this unit again. We had a fabulous time. We were pleased with the accomodations and its location from the meetings I needed to attend. We were also happy that our mini dachshunds were permitted. It was neat and clean. We will reserve again next year. This was a great place to stay. 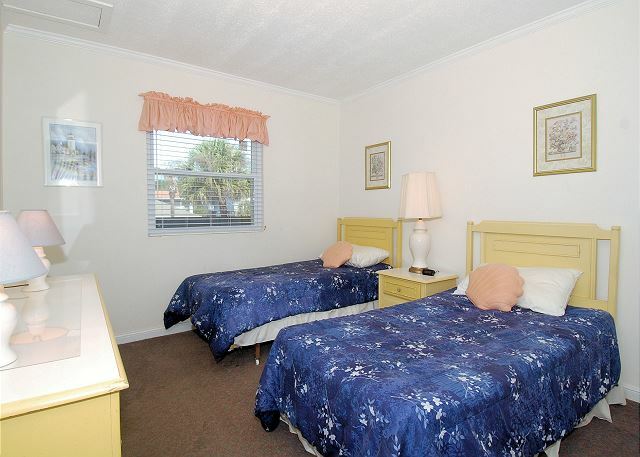 It was pet friendly, right on the beach, and conveniently located. The condo was clean and comfortable. The management staff was right on top of things; there was a storm while we were there and some siding came loose. We contacted management and it was fixed the same day. The interior needs updating but was clean and comfortable and perfect for our needs considering we had a 9 month old puppy with us. Wouldn't hesitate to stay here again. The apartment lived up to descriptions and pictures shown on the website. It was cozy and had everything we needed. We enjoyed the beach a lot, although the weather was quite cold when we were there. The area is very touristy, but we enjoyed the off season flavor with fewer people around. We are happy you enjoyed your stay at Windy Village. We agree that the sunrise from Windy Village is spectacular. Please come and see us again next time you are in town. We really enjoyed are overall stay. The location was only steps from the beach. The pool was warm and inviting and the condo was a great size. We did have trouble with the internet and the stove but tried to work with management to get resolved. They scheduled an appliance company to come and fix the stove but due to our shorter stay that was not completed before we left. We never had wifi/internet. Hopefully that is something they can fix for future stays. Location of property is perfect. If it was not pet friendly, we would not stay there. Unit had everything required for rental, but clearly owners were not investing a penny more. Unit needs to be painted, furniture needs to be replaced, though couch is new,wifi not secured & connection went in & out,tube tv needs to be upgraded,rust around airvents. Just overall, a very downtrodden property. HOA does a great job of maintaining property; unit owners just need to invest in upkeep inside.Everthing needs to be upgraded! It was our pleasure to have you as a guest. Thank you for staying for Southern Coast Vacations. We hope you come back again. This is a great condo. 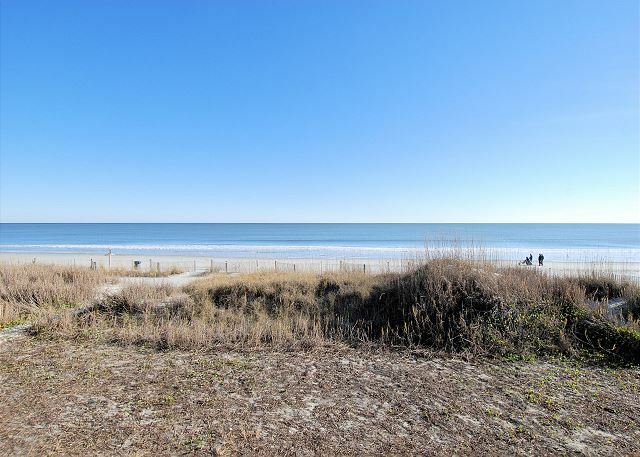 We love the location in NMB as well as it's proximity to the ocean. We love that this condo allows us to vacation with our yorkie, as there are few oceanfront condos that do. We have stayed in this condo before and plan to visit again. 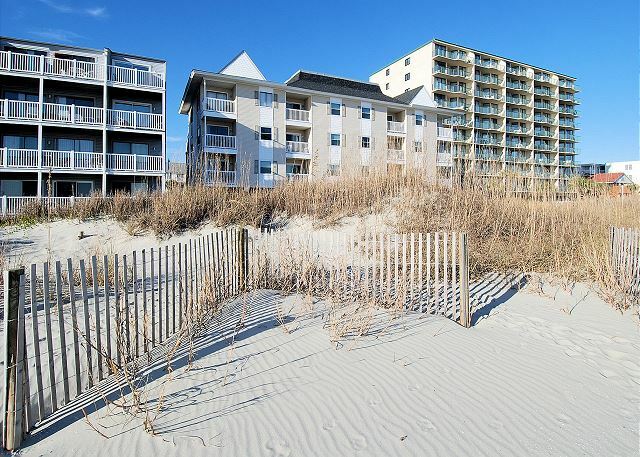 Even though we had a wonderful week, weather included, we would like to suggest that the condo receive a very DEEP cleaning of the bathrooms, kitchen and carpeted areas. 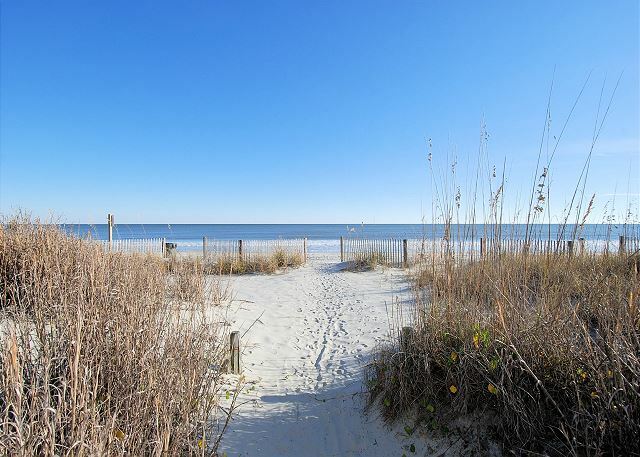 Beautiful and quiet ocean front property! Great location and for the price it was worth it. The property's furniture was older and well used. I thought it could have been cleaner. The rugs were dirty looking. The kitchen floor needed updating. But all the positives about the property outweighed the condition of the property . I would stay there again. Thank you Bobbie, it was our pleasure to host you, your family and your pet. The living room couch and the rug was replaced. We hope to see you again soon! This place is a great value. 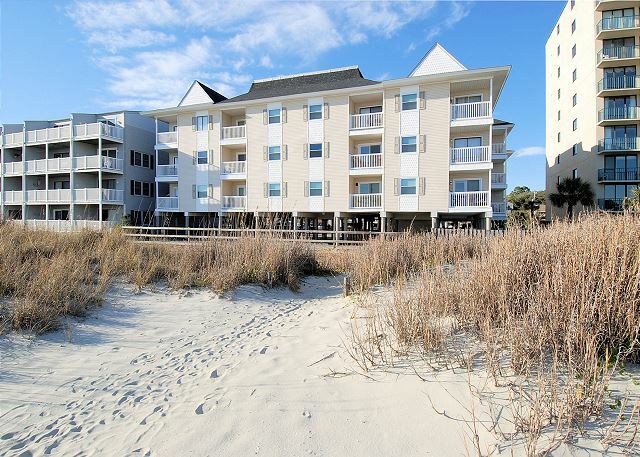 It is right on the beach with easy access to the water. 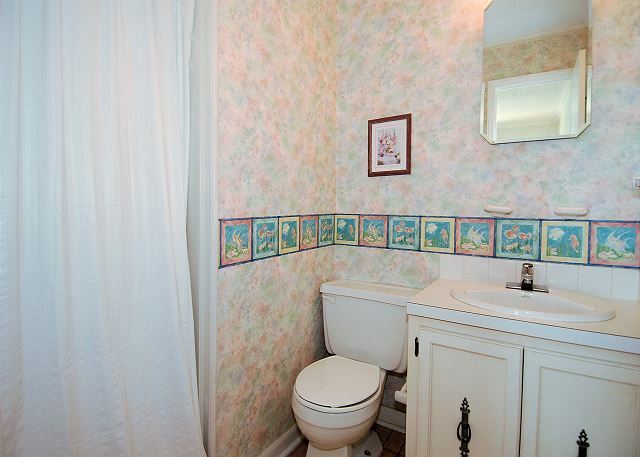 The room itself was serviceable, but could use some updates. Overall we had a great time. The staff was very helpful and even recommended some restaurants and festivals to attend. I would come back again next year. 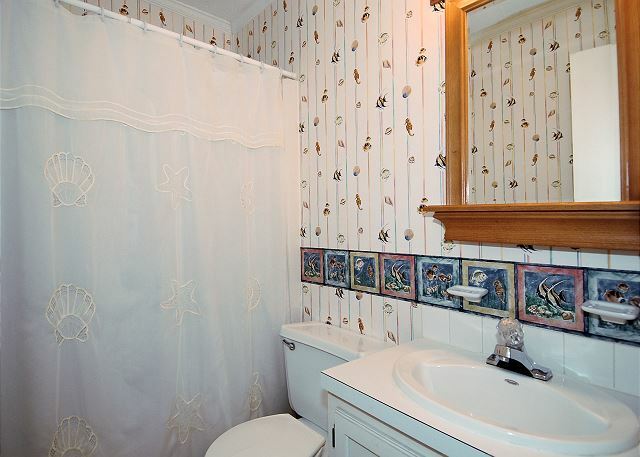 Great location, bedrooms are small but sufficient, bathrooms could have been cleaner. 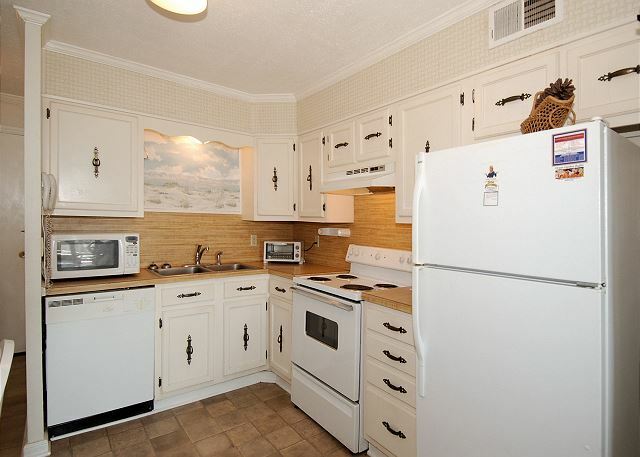 Kitchen has all pots and utensials needed. Overall it was comfortable. The decor and furniture is very old and used. Location is great. Condo needs to be updated, mainly couch as its in bad shape. Condo was also not very clean on arrival. We had to vacuum dishes also dirty and no cleaning supplies are there. So you need to buy them to even clean your dishes. No wifi first 2 days them just started working. Was nice to be able to have our dog, but may be one reason updating hasn't been done. View from balcony is great! We liked north myrtle area. 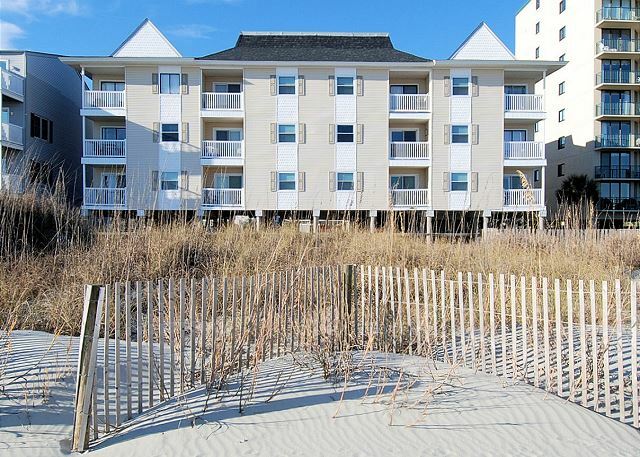 Thank you for choosing Windy Village A7 and Southern Coast Vacations for your vacation stay!